It can often be difficult to choose the best rug for your living room. With such choice around different styles, shapes, and even fibres, there’s no wonder that people enjoy taking the time out to find the perfect rug. If you’re a little unsure as to what might be the best rug for you and your home, check out the below guide to see if we can help inspire you. 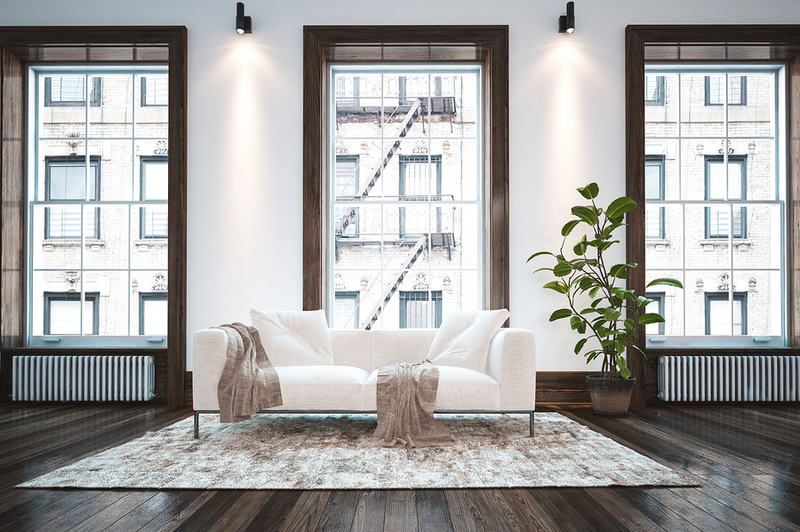 First of all, it’s important to know what size rug you want for your living room, as quite often, people tend to buy rugs that are a little too small. Rugs that exceed the edges of furniture can help a room look larger and this is a tactic that is often used by people wanting to visually enhance their living rooms. Buying a rug that is too small however, has a tendency to make everything else look out of scale. If you’re wanting to buy something that amplifies the space in a room, then it’s worth considering a neutral or simple rug design. Once that you’ve considered the practicalities of your rug, now you get to think about the fun part — the style. If you speak to an interior designer, they will often tell you that if you’re going to have a rug in your living room during a redecoration, then it is best to choose the rug first so that everything else falls around it. For those that aren’t redecorating, there are a few considerations to bear in mind regarding the style and design of your rug. If your furniture happens to be plain, try a patterned and bright rug, but remember that clashing patterns can be risky and could end up making your room feel a little overcrowded. For those considering a patterned rug, match accented colours within the rug to your curtains, or even your sofa cushions. The practicalities of a rug must always be considered, for if your home happens to be full of energy and vibrancy, then you’ll need a rug that will last. Living room rugs tend to have more footfall than ones situated in bedrooms for example, and low pile rugs, such as this Louis de Poortere rug, tend to be able to take heavier amounts of regular traffic. It’s also worth considering a thicker piled rug if you are placing it over a hardwood floor to provide extra padding. You might also want to consider investing in rug pad to fit underneath so that you have an extra layer that is friendlier to the feet. For those with children, a darker rug might be best in case you encounter any accidental spills or mishaps. If you want to know about any of the living room rugs that we have in store, call us on 0113 333 9063.